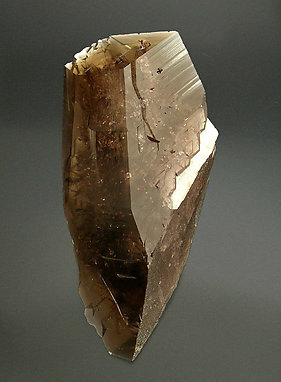 Very sharp, floater and complete Axinite-(Fe) crystal with very well defined faces and edges, completely transparent and with a good smoky color, very uniform. 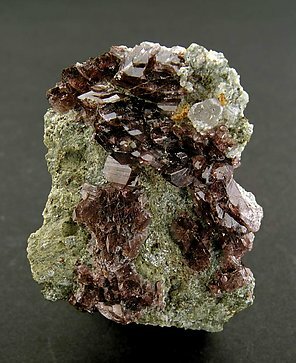 Very aerial aggregate, on matrix, of sharp flattened crystals that are between transparent and translucent, very bright, with inclusions, and that have a dark plum color with mauve shades. 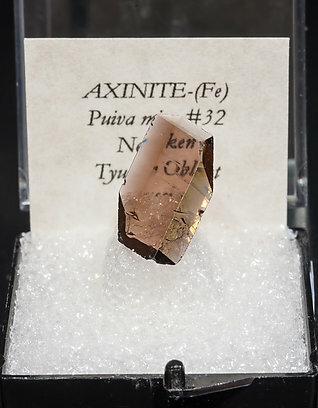 Russian Axinite-(Fe) specimens were famous for their size, deep color and sharpness of the crystals. Good group of crystals on matrix, of an excellent quality for the locality. Perfection of forms, color and luster are also good for the locality. 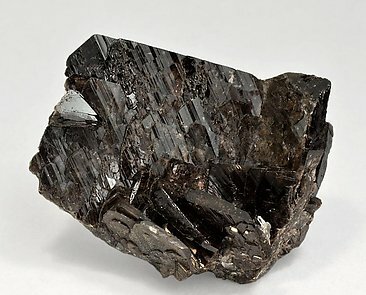 Group of crystals, one of them clearly dominant, with very well defined faces and edges and a considerable size and thickness. The crystals are translucent, bright and have an excellent deep color. Parallel growth of very elongated crystals. They are translucent and have a brown color with mauve shades. A Japanese classic. The sample is with a handmade label of an unknown collection that we'll send to the buyer. Floater and complete crystal. It is transparent, has a very good luster and a very good deep smoky color with mauve shades. Floater group of crystals with very sharp faces and edges. Very transparent, with very deep smoky color and very bright. 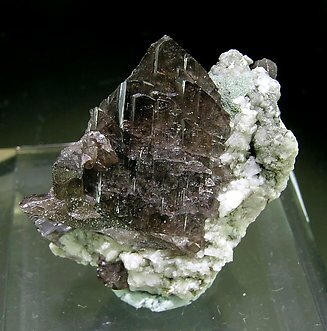 Brilliant, transparent and partially cover with Chlorite this is one of the Russian Axinite-(Fe) specimens which have gained wide acceptance as the best in the world. 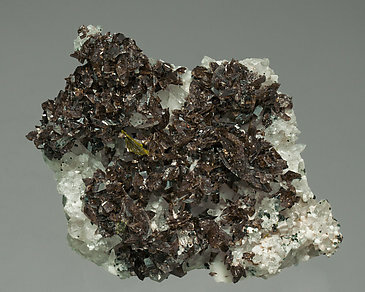 This French Axinite-(Fe) is quite different from the Russian specimens. 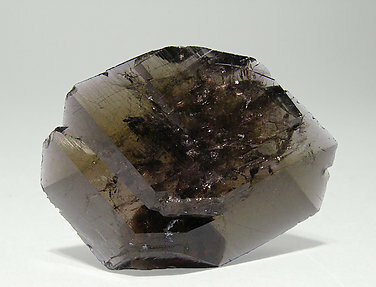 This sample shows smaller and clearer crystals than the Russian ones but with an extraordinary transparency and luster. An European classic. The locality, due to its rarity, is the most notable about this piece which has an excellent color. With a label from Shale`s(Los Angeles) that we'll send to the buyer. We specially note the locality, very rarely represented in collections. 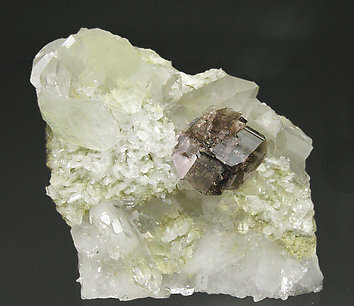 It is a flat crystal of well defined faces and edges, on a matrix of Albite. The Folch collection label shows it was purchased in Geneva in 1922. 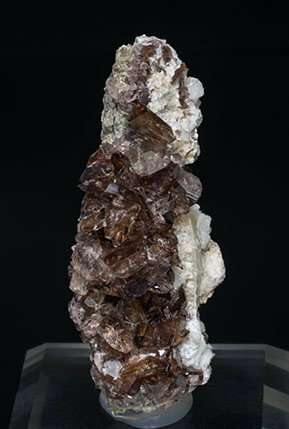 Sharp Axinite-(Fe) crystals that are transparent, very bright, with a brown color and mauve shades and on a matrix with Albite crystals. Very flattened and well defined Axinite-(Fe) crystals, with good color and brilliance. On matrix. In the handwritten Folch label one can read that it was a gift of A. Sulzbach, from Zurich (Switzerland) made in 1950. It is accompanied by the card of the Folch collection (Nr. 4704). 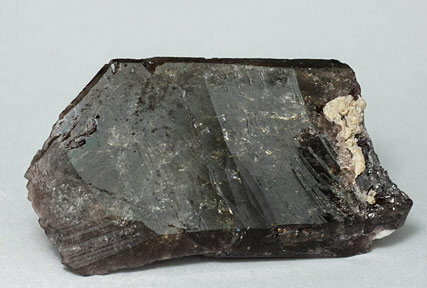 The sample is very representative of the first finds of Axinite-(Fe) in Pakistan (1993), with sharp, flattened and quite individual crystals. They are transparent, brown with mauve shades and on matrix. 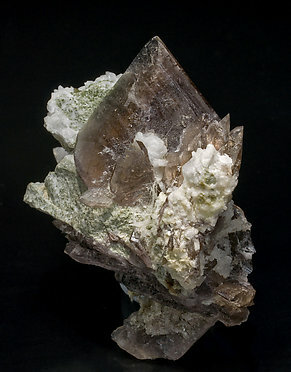 Group of crystals with very sharp faces and edges, very brilliant and transparent, partially covered by Chlorite on Albite matrix. This well-known locality is very poorly represented in mineral collections, including the very old ones. A novelty at Ste. Marie 2013. 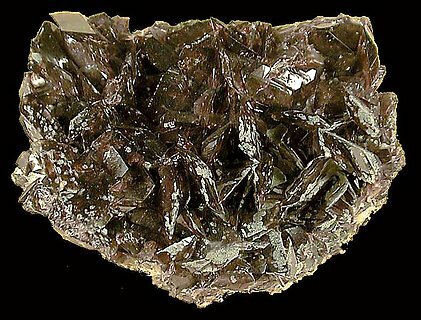 Very sharp Axinite-(Fe) crystals, most of them doubly terminated and showing parallel growths. 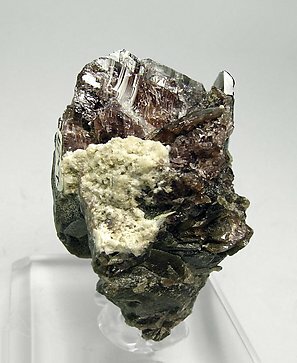 Transparent, very bright and with a very deep color, they are on a matrix with Epidote and small Albite crystals. 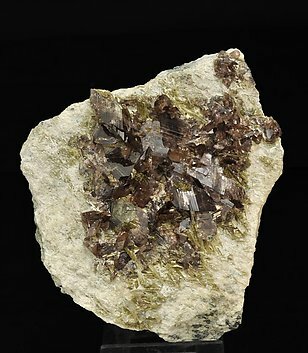 Sharp crystals, brown with mauve shades, with an indeterminate amphibole that forms aggregates of acicular green crystals. We investigated the locality to document it more precisely but we haven’t found more details or similar comparative material, so we retain the name furnished by Folch documentation. 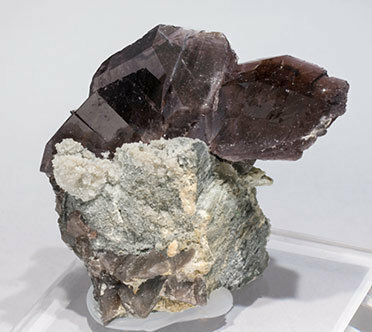 Russian Axinite-(Fe) specimens were famous for their size, deep color and sharp crystals. 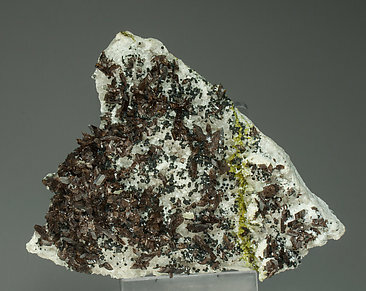 On this specimen the Axinite-(Fe) crystals are very aerial and well positioned on matrix. Very esthetic specimen. 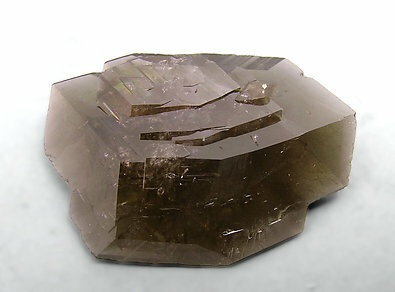 Big floater, doubly-terminated crystal of very sharp faces and edges. We must note its color, an intense transparency near the edges and the neat contrast with white Calcite at the center of the sample. 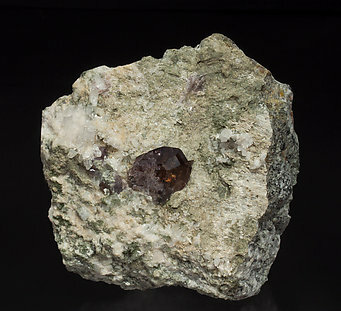 Very sharp floater Axinite-(Fe) crystal with small remnants of a feldspar matrix. The crystal is translucent, bright and has a considerable length for the locality. 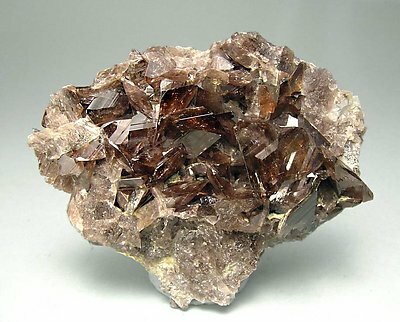 Flattened sharp crystals of Axinite-(Fe) that are transparent, bright and have excellent color. 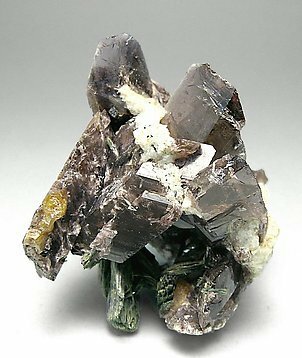 They are on matrix, with Quartz and thin prismatic crystals of Epidote. A French classic. Before the Russian Axinites appeared, the French samples were considered the best. 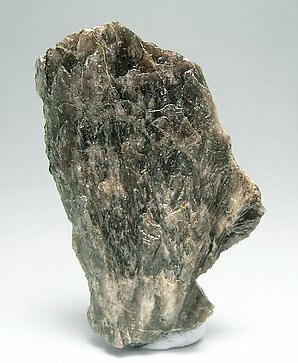 Extraordinary example of Axinite-Fe, especially knowing its origin, a classic North American locality. The crystals are complete, transparent, bright, and of an excellent color, they are on a matrix of Quartz crystals with small crystals of Albite. A novelty at Munich 2013. Very sharp Axinite-(Fe) crystals, most of them doubly terminated and showing parallel growths. 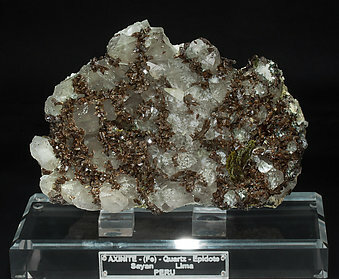 Transparent, very bright and with a very deep color, they are on a matrix with small Quartz crystals, Albite and Epidote. Sharp single transparent and very bright crystal. 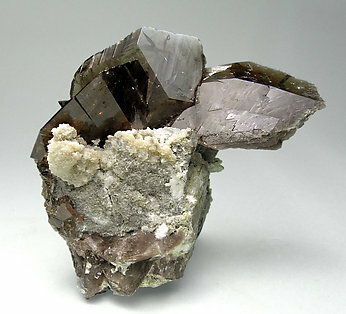 It has very well defined faces and edges, shows a very deep color and it is on matrix, with Quartz and Calcite. A novelty at Munich 2013. Very sharp Axinite-(Fe) crystals. 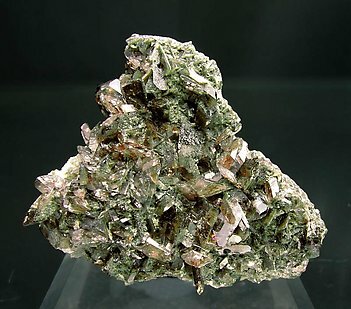 They are translucent, very bright, have very well defined parallel growths and are on a matrix of Quartz crystals with two fan-like Epidote aggregates. Due its size, perfection and the pleasant disposition of the Axinite-(Fe) crystals on the Quartz, it is undoubtedly one of the best samples from this new locality that we have seen.